As we write this Research Topic description, Earth observation (EO) is in the midst of multiple coincident transformations relating to rapid increase in availability of satellite and other remotely sensed data, decreasing computational costs, and increasing capacity for analysis and modeling of Earth system processes using diverse remote sensing technologies at multiple scales. These transformations in data availability and analysis capabilities mean that EO applications for monitoring, diagnosis and prediction of Earth system processes are becoming increasingly viable. The EO revolution remains, however, concentrated in the industrialized world, with fewer operational EO applications in the developing world, and fewer that were developed and applied in and by developing world institutions and that directly benefit developing world populations. 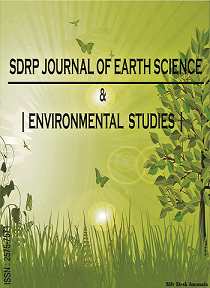 This Research Topic invites paper submissions (in any standard format), that focus on EO applications for sustainable development and risk reduction in developing nations. Technical papers may focus on the barriers and opportunities for EO technology transfer, computational and human capacity building. Science papers may focus on results emerging from EO applications for monitoring, analysis and prediction of Earth system processes. Appropriate EO domains include (but are not limited to) weather forecasting and hydrological processes (risk assessment), agricultural drought assessments, rangeland and cropland area and production monitoring, prediction and sustainability, land use and environmental change. Contributions linking EO approaches directly with stakeholder engagement, impact-analysis and real-world applications that improve livelihoods, contribute to sustainability and reduce/mitigate environmental risk and disasters are particularly welcome. Papers reflecting on stakeholder engagement and highlighting EO technology impact-quantification are welcome. Where possible, all papers are encouraged to include a section highlighting approaches and challenges for technology transfer and/or stakeholder engagement as part of the paper. All submissions will undergo full peer review.